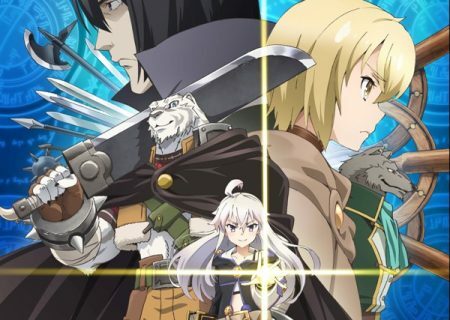 Episode 1 of Grimoire of Zero (Zero kara Hajimeru Mahou no Sho) brought another traditional fantasy series on the table. Should you add it to your list for Spring 2017? We need a few more episodes to be sure, but the first signs are encouraging. It looks like we are ready to embark on a grand adventure full of magic! Grimoire of Zero is based on a Japanese light novel series written by Kakeru Kobashiri and illustrated by Yoshinori Shizuma. 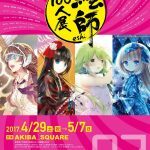 The light novel won Grand Prize at the 20th annual Dengeki Novel Awards. Story: A race of half-humans called the beastfallen and witches were hunted down by the kingdom of Wenias. Both groups went into hiding, and the high bounty on their heads ensured that any collaboration between them was out of the question. 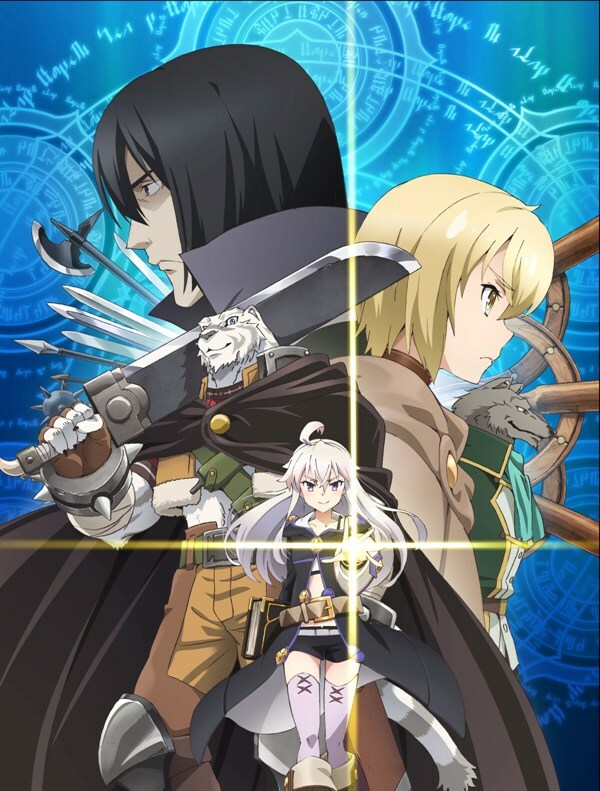 Grimoire of Zero follows a white tiger beastfallen called Mercenary and a witch called Zero as they travel to find Thirteen who is looking for a powerful artifact. Zero convinces Mercenary to become her mercenary by promising him a way to become fully human. This was the second fantasy anime I’ve watched this season after the much-anticipated Granblue Fantasy. There is also Rage of Bahamut this season, but I haven’t yet watched the first episode. Did you know: We have an article with our impressions on (nearly) all the first episodes of this season. Check it out! He is also a multifaceted character who gets angry and shy and protective. He also has a funny side and in all respects, he is a great character to watch. The same applies to our witch. Zero is a freshman in the school of magic. Instead, she seems like she also has things to share and stories to tell. I loved the way her acceptance of Mercenary echoed the kindness of his mother and how their interaction highlighted the oppressive nature of their world. They are both hunted by humans and they also hunt each other. The first episode managed in 24 minutes, if a bit hurriedly, to build on Mercenary’s character with the brief flashbacks, show us what the action scenes are probably going to be like, and invest time on the dynamics between the lead characters. My only concern is that the revenge scene was not as powerful as I would have wanted it to be. 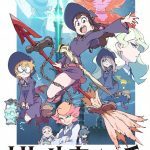 Ending Sequence: I saw this episode right after Episode 14 of Little Witch Academia. I loved both ED animations. I usually sit through the ending credits to see the preview (ALWAYS see the credits and the previews – the first out of the respect for the creators, the latter because sometimes they are awesome) and the serene and cute drawings of Mercenary and Zero really made my day. Spice & Wolf: The character dynamic reminds a little of Lawrence and Holo. Instead of a cute wolf girl, we have an awkwardly shy and macho white tiger. Magic Vs Sorcery: The series has a very interesting magic system. It makes a distinction between the two types of power, sorcery and magic, albeit an ideological one. In my days as a powerful sorcerer (D&D), the distinction had to do with whether the source of magical power was natural (sorcerer) or obtained through study (wizard). I am not one to vouch for technicalities as these, but something tells me that the distinction is going to play an important role in the story. The trope can be found in many anime works: The pharaoh in Yu-Gi-Oh! was unable to reclaim his world of memories from Zorc Necrophades until Yugi and the others learned his true name. In an episode of Cardcaptor Sakura a Clow card could only be sealed by knowing its true name. In Vampire Princess Miyu, the enemy can only be sealed away by knowing its true name. In Tales of Zestiria the X, the Shepherd must say the true name of a Seraph to make a pact with him. Of course, there are countless examples in popular culture. Share your own in the comments below! I am usually oblivious of the source material when it comes to anime. 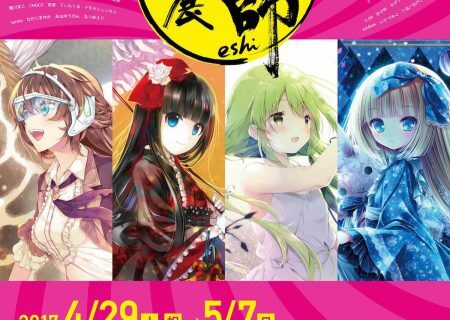 I am not a manga or light novel reader, so I can’t really comment on whether the story is following the original, or if this is another low-key adaptation, or if light novels are crap (many people tend to think so). The only thing I can comment on is that Grimoire of Zero is not crap. The first episode was enjoyable, and I am interested in seeing how the relationship between Zero and Mercenary is going to be played out. It certainly seems to have the necessary juice to make it a good series, if not a memorable one then at least a fantasy worth our time. The similarities are of course negligent, but I thought it could make for a nice conclusion title. We do have a beast and we also have a typical anime beauty, and while the anime is not impressive, the first episode made me want to know more. More about the magic system and more about the world that Mercenary and Zero live in. Don’t forget to read the rest of our episodic reviews for Spring 2017. This season we are reviewing Attack on Titan, My Hero Academia, and 7 other titles!